Game 1 of the last round of a PTQ top 8, just my second ever finals match with the first occurring over a decade ago. My opponent and friend, Andrew "Box" Klein, was fielding a scary looking Temur tempo deck against very close to the worst collection of forty cards I've ever shuffled. There were three different cards in the deck I'd never even cast before and only one of them was rare. I'd gotten extraordinarily lucky to dispatch my first two opponents in the elimination rounds, and it seemed fate was not done with me quite yet. A Smoke Teller on the opposing side caught an Awaken the Bear followed by a Savage Punch, meant to drop the largest creature on my side of the board and essentially put the game out of reach. A single black mana available on my side of the board and exactly four cards in my graveyard meant the game was going to be put out of reach this turn, but not in the way Box had hoped. My deck proved to be just as cooperative in game 2, and just like that, I was qualified for the Pro Tour. Cool. I suppose you would call me a PTQ grinder, though I was hardly even that. I like to draft. 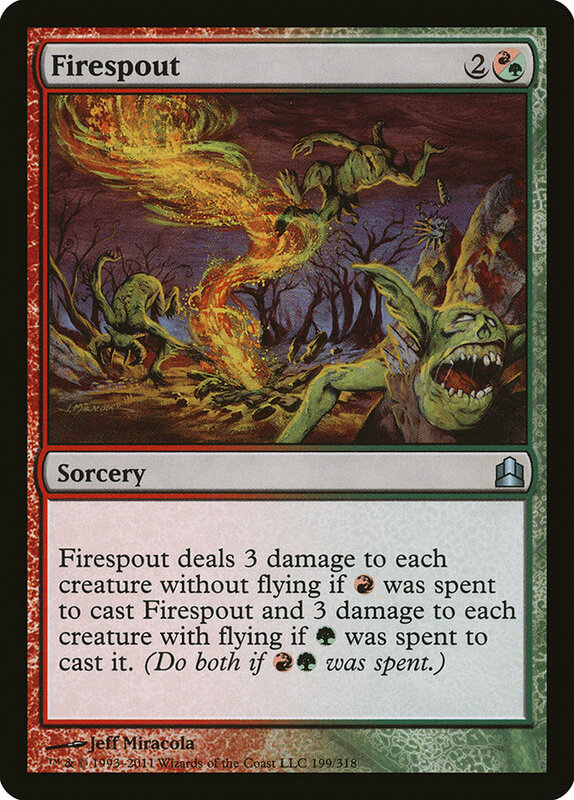 I've played Magic since my friends and I would mournfully ante up our Force of Natures and leave Dark Rituals in play to be tapped repeatedly over the course of an entire game (it says "mana source," right?) in grade school, and in junior high I would skip lunch to subsidize my pack-cracking habit. 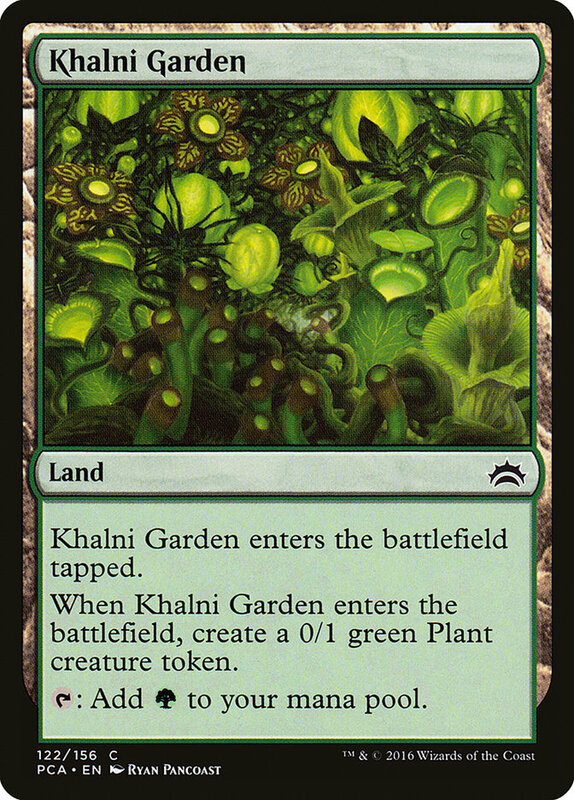 After a brief hiatus during Mirrodin and Kamigawa, I found myself back in the lifestyle, putting an awful lot of work into becoming proficient with Heartbeat of Spring in preparation for Wisconsin States, a version of which would later be piloted into the top 8 of PT Honolulu by Max Bracht. 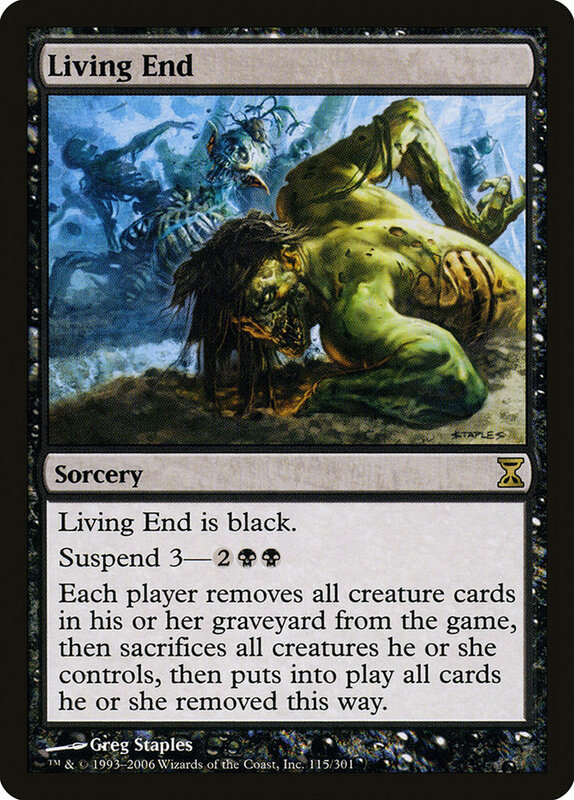 I was denied the State Champ title, ejected in the top 4 by some guy named Adrian Sullivan piloting a brew of his own that would go on to become a format staple in Eminent Domain. Thus ended my Constructed Magic career. Shortly thereafter, I moved to Madison, walked into Sam Black's game store, and failed to ever meet another person I liked more. We became roommates within a few months and have stayed so for most of the last decade. In that time, I've had the privilege to watch Sam transition from a brilliant tactician and theoretician who I felt gratified anytime I managed to defeat in a game of Magic, Settlers, Werewolf, Citadels, Liar's Dice, etc. and who inexplicably failed to put up finishes in Magic tournaments commensurate with his skill into a universally-hailed Magician. During this time, I played essentially zero Constructed Magic. I drafted as much as possible. Drafting is where my happy lives. 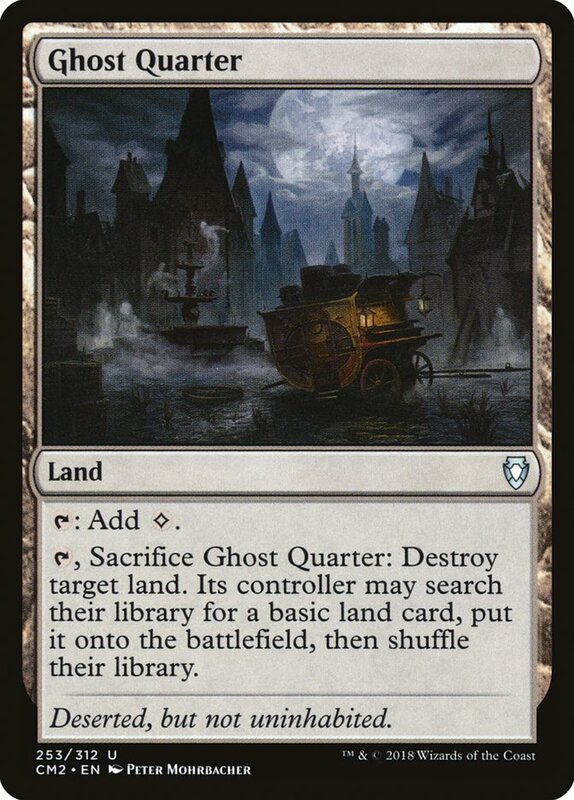 I would PTQ occasionally if it was Limited and in town, or nearby. I would GP occasionally, rarely driving more than four hours and never bringing more than forty sleeves. But there was no concerted effort to actually succeed. 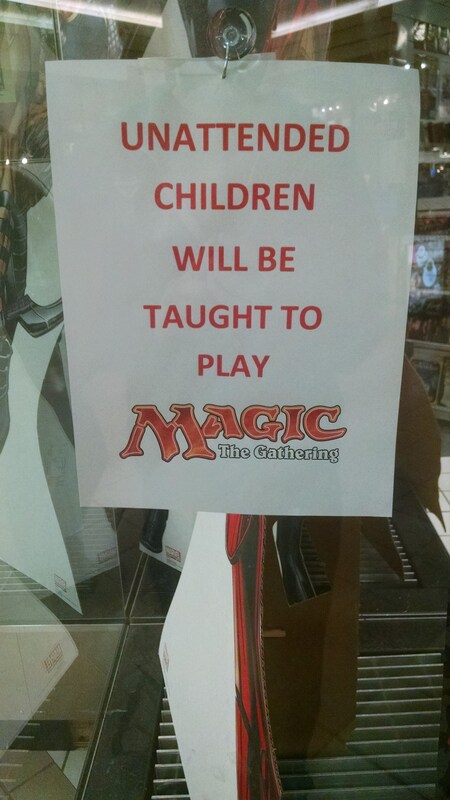 I would go for the times and the chance to play more Limited Magic but with no expectations of real success. My greatest achievements occurred right before Sam Black became a household name, when he and I (and a few other savvy opportunists) took up the short-lived WotC miniatures game named Dreamblade and spent a year traveling around the country demonstrating that throwing a bunch of prize support into a new game's OP to attract the gettable players from other games (read: casuals) is a lot like chumming the water when you are trying to fish sea bass: all you're going to get is sharks. After Dreamblade folded within a year it was back to drafting and enjoying a front row seat to Sam's rise to Magic stardom. 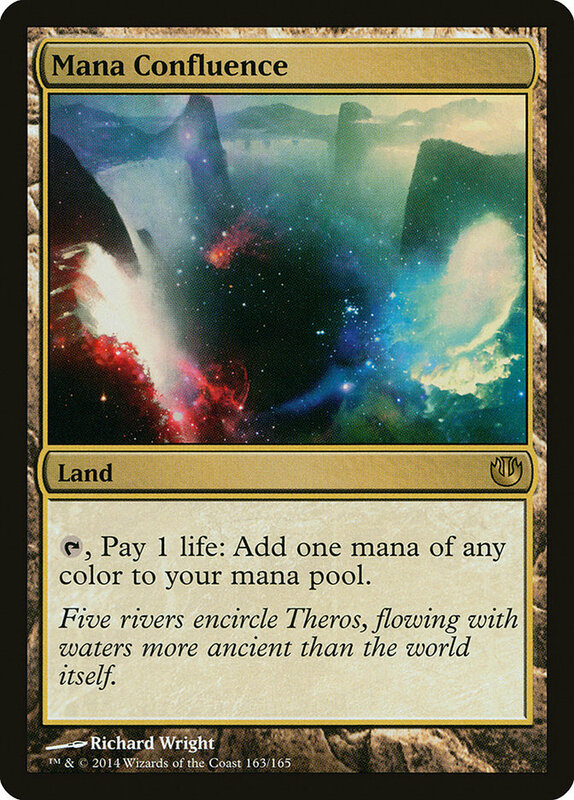 Fast-forward to Theros block. I did well in it, by my standards. That would happen sometimes with a block, when its play patterns happened to line up well with my particular talents. I enjoyed it and did a ton of it and accrued MTGO QPs at a much faster rate than ever before. 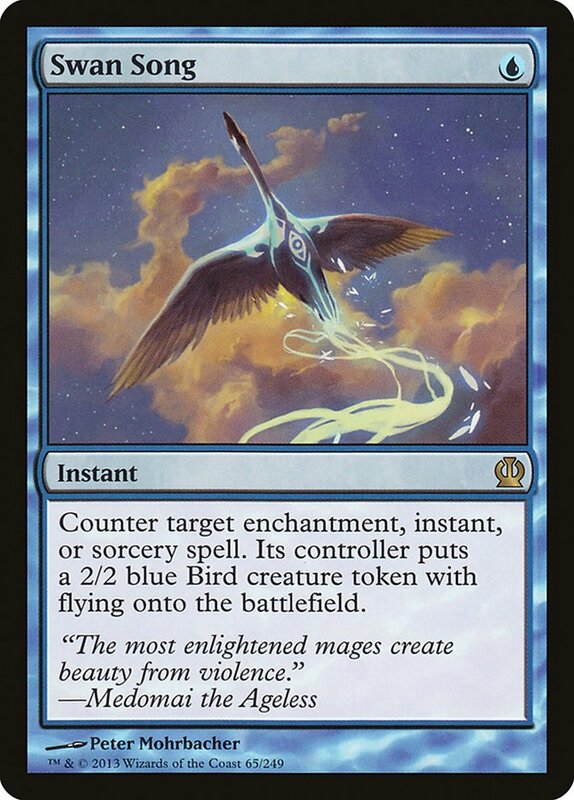 Then M15 also went pretty well for me, and it began to seem like, perhaps for the first time in memory, I had gotten observably better at Magic. One thing that's important to understand is that, essentially since his rise began, Sam has attempted to convince me to take Magic more seriously. That I could compete on the same level that he does. This has always seemed patently ridiculous to me. I mean, I've spent years losing to Sam at every kind of game you can imagine. There are certain games or types of games where I definitely have an edge, and even in those I don't, it's generally not so bad that I'm dead money, but it's usually obvious that he is the favorite from set-up. Why would I want to expend a bunch of effort to attempt to qualify to play in tournaments with a bunch of players as good as him or better? The value seemed wanting. All of that notwithstanding, prior to Khans of Tarkir, I had a wealth of disposable time. I had put together a few respectable sets of Limited play. I began to run out of excuses not to start tagging along to PTQs within a few hours of me. So, as soon as the spoiler was up I got out the most potent weapon available to me: Google Sheets. If you've read Sam's recent article , you have some idea what I'm talking about, but the short of it is that I quickly developed a good understanding of what was going on in the set. Some of the people I draft with were qualified for Pro Tour Khans of Tarkir, and I offered what help I could. I recall reading an article Ari Lax wrote after Grand Prix Orlando and linking it to the FB group all my qualified friends were on and telling them that this guy knows exactly what he's talking about and they should treat every word in it as gospel. One week later, Ari Lax was a Pro Tour champion. The next few weekends were filled with Limited events: a PTQ where my good friend Matt Severa knocked me out of top 4 on the way to qualifying for Pro Tour Fate Reforged, and a Team Limited GP in Nashville where I finished in the money and Sam, Severa, and Gaudenis Vidugiris made top 4, reinforcing the value of the kind of Limited testing we'd been doing. The weekend after that I won a PTQ and a couple more locals in our group did the same over the next two. Madison was clearly doing something right. Which brings us to GP Omaha. 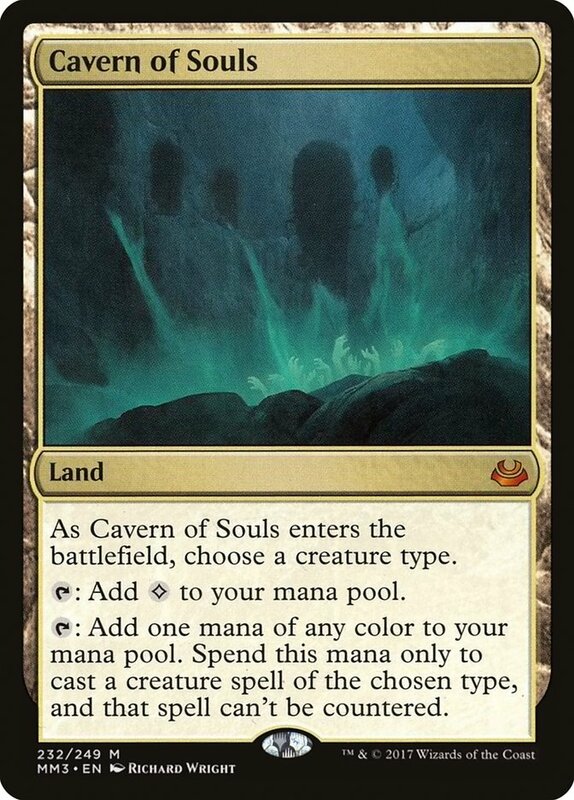 Now, for all my Limited data-diving, I still had no purchase in the world of sixties and least of all in Modern, a format of deep institutional knowledge and decks/cards people have been playing with and against for years but that I've essentially only interacted with in Cube. Which is all to say that I was not optimistic about my chances. As it happened, a local player named Ranjan had mentioned a few months previously some guy with the handle LordCommanderSnow who had the highest Constructed win rate on MTGO and was doing it exclusively with this janky Amulet of Vigor deck that had been attempted and thoroughly debunked at a prior PT. This piqued my interest for a couple reasons. First of all, whether the deck was good or bad, it was clearly my style: non-interactive and powerful. Additionally, it was not taken seriously. This was an important feature. When maximizing value in a zero-sum contest, it's vital to identify your comparative advantage. What can you do, or what are you willing to do that others can or will not? It's been my (limited) experience that, when evaluating deck options for events, the types of players you are more likely to run into on Pro Tour have a special penalty they apply to decks that seem to "lose to themselves." To some extent they rightly avoid playing decks that deny them the opportunity to leverage their skill advantage. Sometimes, however, this can result in them making an EV-suboptimal choice when the correct deck for a given tournament is one that doesn't particularly allow for such leveraging. So I borrowed the requisite cards from Sam to build Amulet Bloom on MTGO and took it for a spin. I was immediately impressed. The deck did some very unreasonable things. It won games before the opponent could do anything. It won games from nowhere, from essentially no board. It double-mulliganed into turn 2 titans. I definitely liked what I saw. A few months later when GP Omaha rolled around, there was really only one choice. The tournament started auspiciously when I discovered I somehow had a bye that I was not expecting and then in my first game of round two, I killed my opponent on turn 1. I finished day one at 8-1 and on Sunday found myself playing what may have been a win-and-in (but I think was not) against Shahar Shenhar on camera. Now, Burn is a good matchup for Amulet Bloom, but believe me when I tell you I was in no way happy to be playing for possibly my first GP top 8 against the two-time reigning world champion. I turn 2'd a Hive Mind in game 1 and then proceeded to lose after doing so for the first time ever playing the deck, bricking off my many instant wins for the next four or five turns it took me to get beaten down by a couple of Eidolons. Game 2 on the play I sculpted a turn 4 kill only for Shahar to pull three Lava Spikes off the top of his deck in as many turns to exactly twenty me on turn 3. Thus ended my top 8 hopes. I did at least have the privilege of watching Stephen Speck pilot the deck to a second place finish. I had met him early on day one, and we'd been tracking each other's rise through the standings all day. It was both gratifying to see the deck get some of the results I thought it deserved and worrisome that this might result in it actually getting taken seriously, my comparative advantage evaporating. This fear was compounded when he proceeded to win the Modern Premier IQ in Indianapolis with the deck while I was in San Jose with Sam and Severa having an unspeakably bad day two the weekend before the PT. In a move of unbelievable generosity Sam excused himself from the premier Magic team in the world to work with myself and some of the other qualified local guys. Bob Maher was putting together a team of some currently unaffiliated people and that was the genesis of Team Work. Enough good things can't be said about my experience with these guys, from the known masters like Paul Rietzl and Matt Sperling (whom I was pleased to discover are every bit as nice and funny as they are smart and talented) to newer faces like Andrew Baeckstrom. These people put in the eponymous Work and it shows in their results, with practically the entire team making day two and a few like Baeckstrom and Severa managing to nab key qualifications. 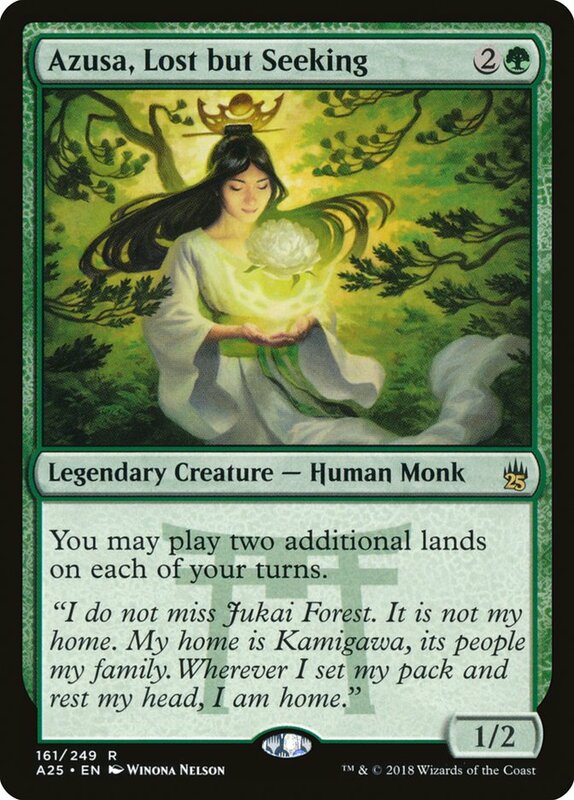 In the couple of weeks leading up to the PT, I did not consider myself likely to play Amulet Bloom. 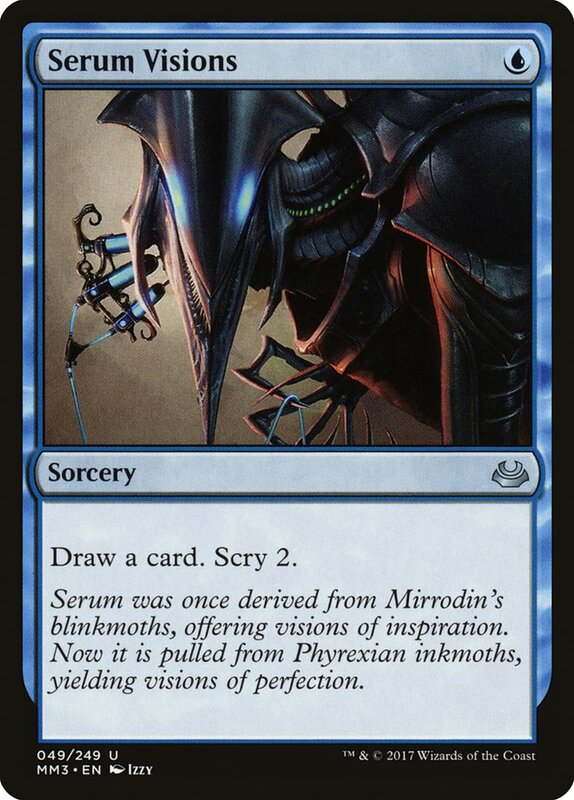 I felt like the bans were very bad for it, as Birthing Pod was one of the best matchups (particularly if you sideboard Anger of the Gods) and U/R Delver, while not a great matchup, was a close one, and its existence in the format kept at bay other, scarier foes like Blue Moon. My assumption was that I would end up playing whatever it was that Sam came up with. Good enough for Jonny Magic, good enough for me. Yet as we got down to it, Sam's brew wasn't panning out quite as well as hoped, and in the meantime, I had kept getting my reps in with Amulet Bloom to make sure I had a fall back. After a few key realizations about the matchup, I was suddenly consistently beating Abzan, and just a few days before we were to leave for the PT, Sam was talking about maybe playing Amulet Bloom too. Thursday, PT Eve. Sam is giving his deck one last shot while I attempt to refine the Amulet Bloom sideboard. He doesn't see what he needs to out of his brew, and suddenly the fact that we managed to accidentally grab Matthias Hunt's copy of Amulet Bloom in San Jose the previous weekend during a game of Hanabi is very relevant. We spend the rest of the day with me giving him a few (largely unnecessary) directions on piloting the deck and coming to consensus on the final sideboard slots. For those of you that came here looking for a report on the actual tournament I apologize that it took this long to get to it, but the narcissist in me (read: me) could hardly be expected to resist a legitimate opportunity to go on at length about himself. Yet and still. Day one began optimally. Open Tasigur, get passed Tasigur, first round bye, Okay, we're running hot here. Round two is Andrew Cuneo. 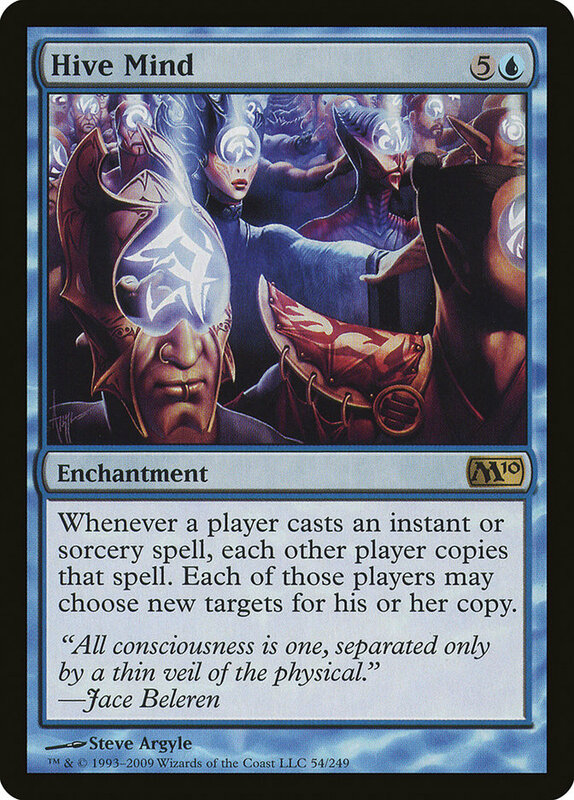 One piece of advice I can offer to any who aspire to do well in a Magic event: do not, under any circumstances, get into a control mirror with Andrew Cuneo. He casually outplayed me and just like that, I was 1-1. 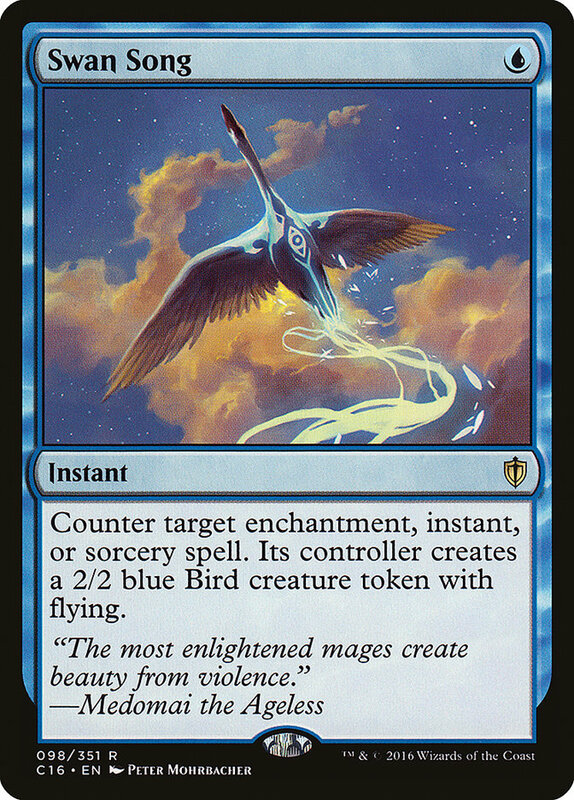 After a quick rally in round three and an opponent who was simply incredulous someone had passed me a Tasigur, it was time to see whether Amulet Bloom was as noncompetitive as most people seemed to believe. Sam had started out with a 1-2 draft so I was additionally nervous that if it didn't end up being great, it wouldn't be enough to let him make a run. I was soundly defeated by an Abzan player who managed to put together a couple of their draws that just get you, featuring multiple discard spells, multiple Fulminator Mages, and Siege Rhino. I battled back, with the next few rounds featuring another Abzan player who did not draw quite as well as the first, an Affinity player whom I managed to defeat on the back of a Hornet Queen despite a turn 2 Torpor Orb that never left play, and an exceedingly unlikely victory against Splinter Twin in the final round of the day, with me finding the nut in game 1. In game 2, where the nut would have not been good enough, I naturally drew my Slaughter Pact to KO his combo. So, I was 6-2 at the end of the day and feeling great. Going into this event, I would have been happy with a day two. Now the deck had proven itself (Sam had rallied to end at 5-3, sharing my 4-1 Constructed record). Our nemesis, Splinter Twin, had only shown up at about 4% of the metagame, so there was a legitimate hope that we could just dodge it, particularly if it hadn't done well day one versus the Abzan-heavy field. My draft day two went just like you hope it will on day two of a PT with me grabbing up some quality white and black spells and then tabling a Harsh Sustenance ninth. I managed to open Wingmate Roc in pack two, and the deck ended up completely bonkers with a great curve, about thirteen warriors, three copies of Rush of Battle, and two copies of Raiders' Spoils. A Butcher of the Horde and two Ponyback Brigades sat in my sideboard. My first two opponents fell in four games, and then it was between myself and teammate Paul Rietzl for the 3-0. Paul had also had a great draft, being the only other player taking white cards at the table (he got an End Hostilities something like seventh). We played a couple of good games, but ultimately his W/U deck's inability to get creatures off the table with anything other than his End Hostilities did not match up well against my Rush of Battle-oriented gameplan and I took it down. Amusingly, on his last turn while out of gas, Paul flipped up a Dragon's Eye Savants to see my hand filled with Dutiful Return (boarded in against the End Hostilities) Wingmate Roc (never cast all draft), and a pile of other threats just waiting for my mana to become unconstrained. He just shook his head incredulously and packed it in. Sam had swept his draft as well, and now we were really cooking. I was up against BBD's Blue Tron deck first off, and it's one of those matches that starts murmurs about bannings. I outright killed him on turn 2 game 1, and game 2 successfully forced a turn 2 Titan through a Remand on my initial Summer Bloom. The next round my luck ran out, and I was up against some Spanish guy named del Moral Leon playing Twin. 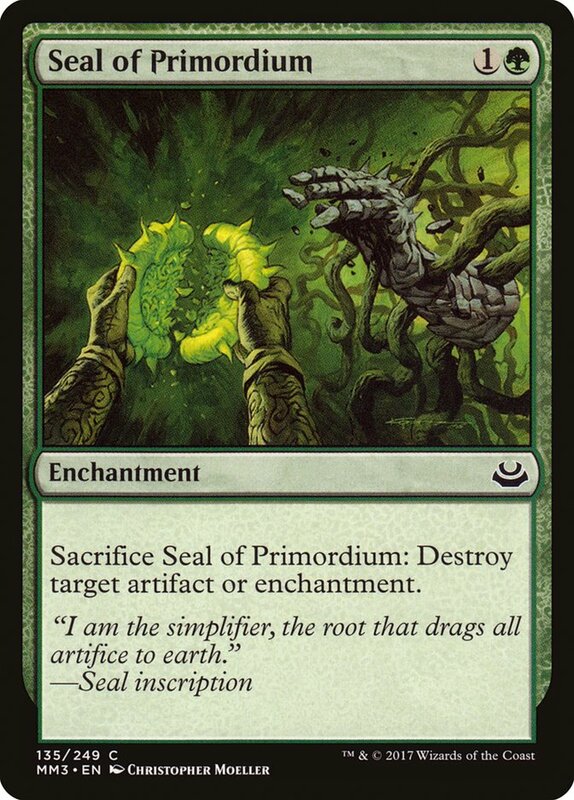 I stole game 1 in the way Amulet Bloom can and got Blood Mooned out of game 2 after my Seal of Primordium was Negated, also in the way that Amulet Bloom can. Game 3, I had Nature's Claim ready for his Blood Moon instead (which, if I'd had last game, would've won it for me), and he was stalled on mana, so I was looking good. I made what was likely a subtle misplay and scryed a second Amulet of Vigor to the top of my deck. Having just found his third mana, he end of turn Vendilion Clique'd me, took the Nature's Claim, untapped, and slammed a Blood Moon. The very next card on my deck beneath the Amulet? I had played against Living End once online and barely remembered beating it somehow behind my opponent's misplays, despite maindeck Fulminator Mages. The first time my round eleven opponent cascaded into a Living End, flipping through half their deck reminded me that they also maindeck multiple Blood Moons. Cute. So we were up against it. My opponent used that first quick Living End mostly as a buyback on Fulminator Mage, and I untapped in the midgame with an Amulet in play and no other permanents of any kind. I drew for the turn and was reminded of what my opponent online did wrong that allowed me to beat him. You see, Fulminator Maging the Amulet deck seems great, and it is. 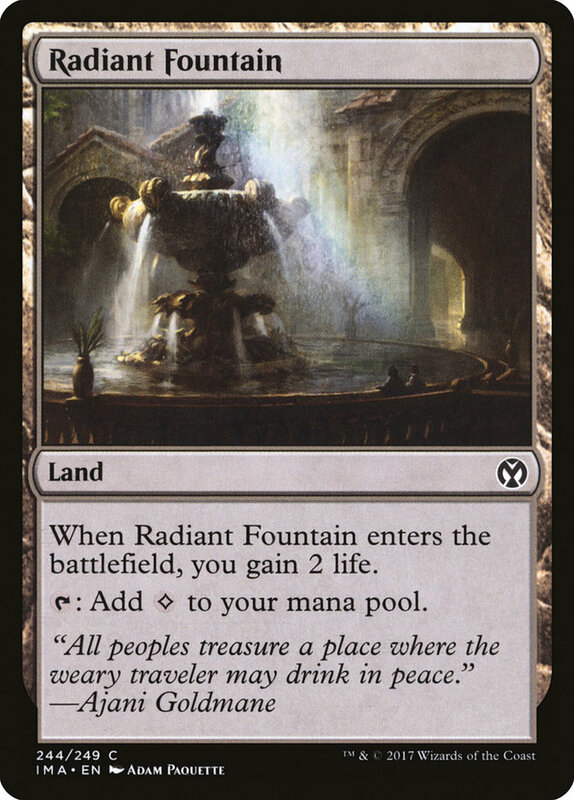 You need six mana to do anything, and it can be pretty easy to keep you off of it with the right tools, especially since many of your lands count for double. It is thus sometimes difficult for opponents to resist the temptation to fire the effect off at the first remotely justifiable opportunity. 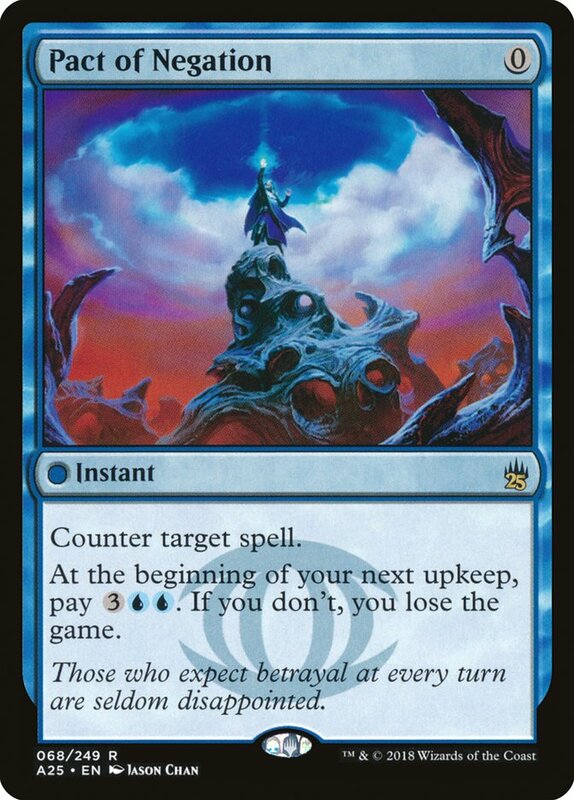 While sometimes this is correct, other times what happens after you blow up your opponent's only land in play, a lonely Tendo Ice Bridge, is that they "untap," draw a bounce land, play it, untap it, tap it, pick it up, cast Summer Bloom, make six mana and make you very sorry you weren't more patient. A Pact of Negation on a Living End sealed things up. After a relatively quick Blood Moon game 2, we were on to game 3. It started out similarly to the first. He had a quick Fulminator Mage and then a quick Living End to buy it back and keep my mana pressured. I had an early Seal of Primordium to take a couple win buttons out of his deck. Finally, I assembled what I needed, but it seemed likely to have taken too long; I didn't know if I had enough gas to fight through his inevitable Living End-shaped Wrath. It didn't come, and at the end of the game he revealed his last two Living Ends stranded uselessly in his hand. So. Two rounds to go, both Sam and I at X-3. There was the way this could go and the way it was obviously going to go. As soon as we're paired, I offered the draw. Sam is reticent. Locking one of us for top 8 is the obvious play, and drawing spews Pro Points, which is apparently something I've needed to start caring about in the last couple hours or so. We play game 1, and despite a double mulligan, I'm the first to resolve a Primeval Titan and look to have the game next turn. The top of Sam's deck finally yields what he's been waiting for, however, and he double accelerates into Hive Mind + Hive Mind + Pact of Negation for the win. Afterwards, he notes how badly he felt while beating me and offers to draw if I manage to take game 2 off of him. I do and we do. Apparently the winner of our match was due to participate in a deck tech so we talked the relevant parties into letting us do it together, which was pretty cool and, I think, appropriate. Pairings went up for the final round. Sam was paired against Abzan and was pumped. He had actually noticed when I managed to turn around the Abzan versus Amulet matchup in our testing even earlier than I did, playing the other side of it against me. I was up against Infect and felt The Fear. While it was a little unfortunate to get matched up against Splinter Twin twice so far, I felt fantastic about fading Infect all weekend. It looked to me as though they were a full turn faster than us and could interact more effectively post-board. There's video available of this match so I'll just say that I was certainly right about it. I nearly lost to a mulligan to three(!) in game 1 and only won game 3 due to my opponent missing the in-hand kill. Just like that, I was in the top 8 of my first Pro Tour. I stayed in the feature area after my match just long enough to watch Sam lose to an exceedingly unfortunate Tasigur activation and some heads-up play by Jesse Hampton. Dinner, a few quick games against the Burn deck I'd be playing in the quarterfinals (not much work to do there, it's a well understood matchup), sleep. I'll be brief regarding the top 8, since of course it's well-covered at the mothership. Game 1, Simian Spirit Guide proved its value in non-interactive matchups. Seth made a wise non-attack with a Goblin Guide to deny me a percentage of my outs, but my deck delivered the untapped land I needed. LSV told me after the match that he thinks Seth could have won the game with a different line and, watching the video afterwards, I can see that he's correct. Game 2, Seth did his thing and I fried. Game 3, I had turn 2 Titan on the play, and it went exactly how you'd expect that to go. My top 4 match was, by a wide margin, the worst I played all weekend. 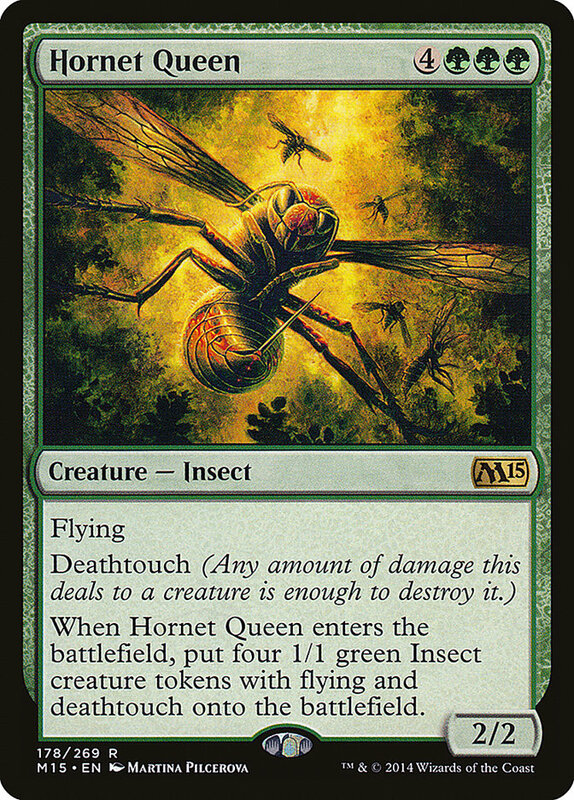 Fetching Hornet Queen instead of Sigarda or Titan was a massive unforced error, electing not to cast the Hornet Queen once I noticed it would expose me to a lethal Fulminator Mage was another. Beyond those, I can identify other, smaller misplays I made on essentially every turn of game 3. It produces an interesting dissonance to simultaneously have people complimenting me on playing such a complicated deck so well while recognizing internally that I was playing the deck at not more than 75-80% what it's capable of. The finals were the predictable anti-climax. I was briefly able to make things interesting with a nut draw game 1 before being brought back to earth once Antonio was able to optimize his deck against me. So, how does it feel to come within striking distance of being a Pro Tour champion and come up inches short? In a word, incredible. It's impossible to be disappointed with not winning when my aspirations coming into the weekend didn't even reach all the way to the top 8. Besides that, I just went from one lifetime pro point to nearly locked for Gold in a weekend. Now, instead of Sam jetting off around the world and stopping home to hang out every couple months, I'm going with him. We'll be competing together on the biggest stages available to professional Magic players. It's surreal. Overall, I think my biggest takeaway from the weekend is captured in a quote from Patrick Chapin. At an after-event celebration, Patrick was explaining to some of his friends that he knew me from way back when he lived in Wisconsin, and I added that this was when I was completely terrible. "Everyone is terrible," said Patrick. After getting a first hand glimpse at high-level play, this does seem to me to be the case. No disrespect meant to any of my opponents, but essentially all of them (at least the ones that had any opportunity to do so) made colossal blunders that cost them games or matches against me, including in the top 8. I myself made similar blunders and Sam reported doing the same, with the only real difference between ours and those of people who made earlier exits or lower finishes being that ours didn't happen to end up costing us matches. All of which is to say that you can be terrible and still do very well at a major event if you find your comparative advantage and get lucky, so don't deny yourself the opportunity to do so like I've been doing for so long. Now, even more so than the tournament report, I know what many of you want to read about is the deck itself. The short of it is, it's great. It's powerful, fast, proactive, and resilient. 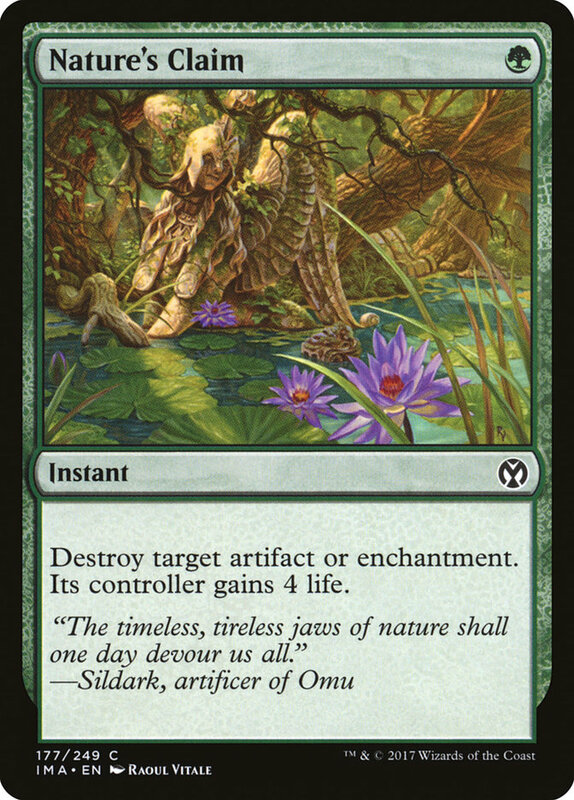 I expect it to make a lasting impact in Modern. In playing the deck that last couple months, I've heard a lot of misconceptions about it, and I'd like to try dispelling some of them. First, it is not incredibly difficult to play. There are lots of decks that I would avoid playing because of the difficulty involved and yet I found myself drawn right to Amulet Bloom. Part of this is because the kind of thinking involved in playing it appeals more to my particular mental attributes. It requires precision, but there are a limited number of variables. Mostly, it's just a handful of very specific lines that you memorize and execute as needed. Have Amulet of Vigor, Summer Bloom, bounceland? That's a Titan. Are they tapped out? Hasty Titan. 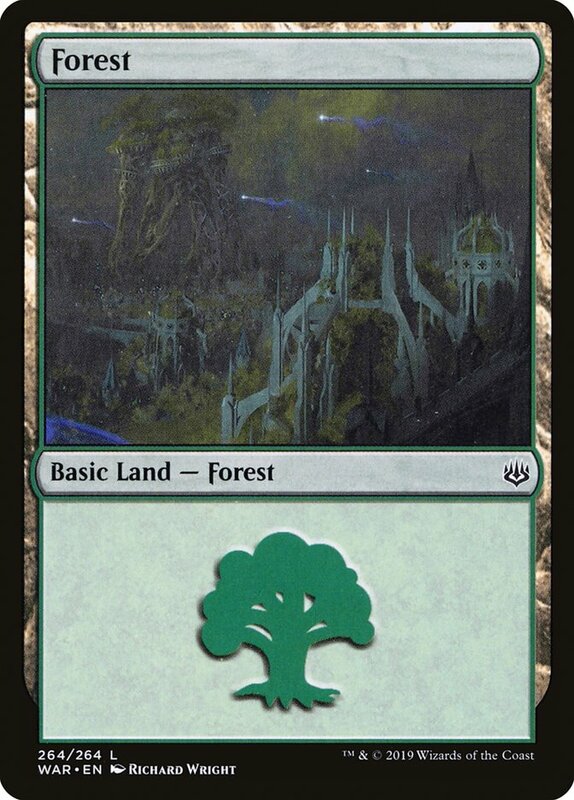 Are they representing Path to Exile? Backup Titan. Can you lock them out? Pact of Negation. It's not hard, it's just weird, and the weirdness goes away with repetition. Second, it is fairly punishing. There are not a lot of decisions to make in most games which generally means the ones there are more important. 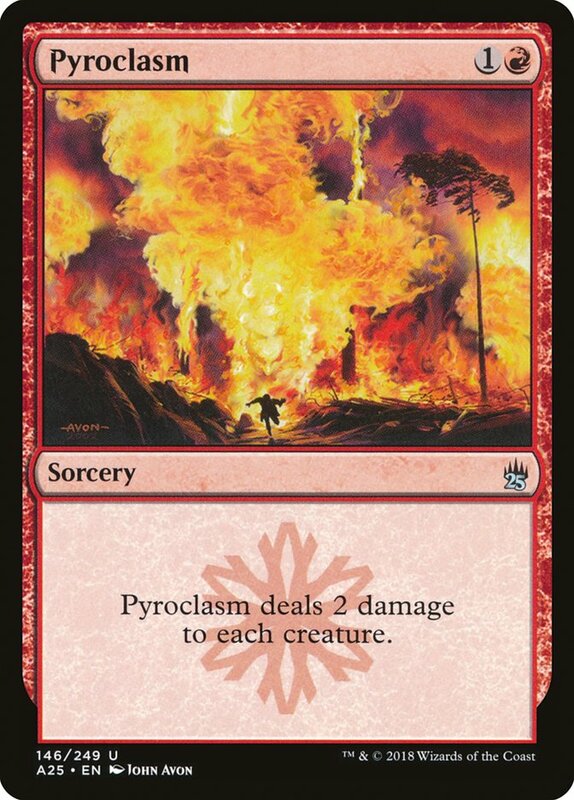 Did you scry on extra bounceland to the top of your deck when your opponent might Fulminator Mage you next turn? 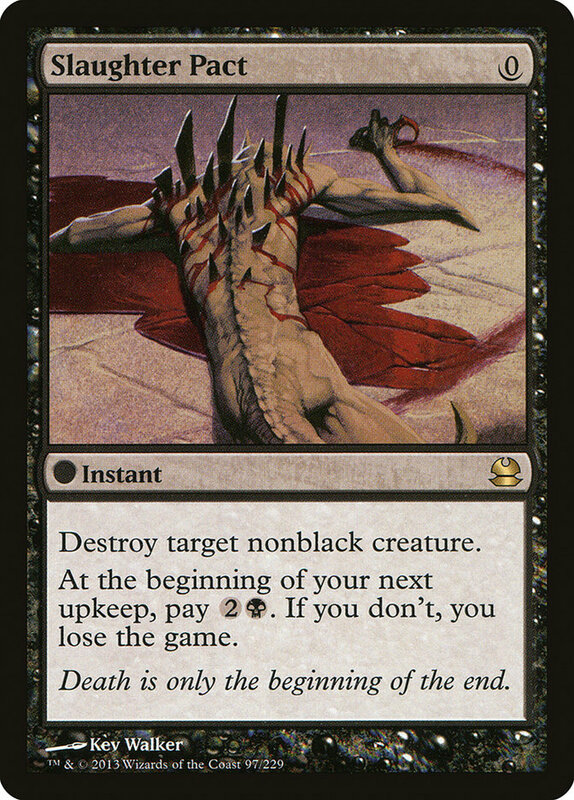 Did you make sure to end with only three lands in play so a Tectonic Edge can't kill you via your Pact trigger? Obviously mulligan decisions are absolutely critical. You need to be able to identify just how quick you need to be and what sort of resistance you can fight through. Third, it is not a glass cannon. Properly piloted, the deck can overcome almost anything that isn't a Blood Moon. In testing, shortly after we figured out the Hornet Queen innovation, I played a game versus Jeskai Control where my opponent resolved six Cryptic Commands and a Sphinx's Revelation for six before I finally timed out with lethal on the stack. So, is it a good choice to take an event like the upcoming GP in Vancouver? Maybe. The deck is certainly beatable. Beyond Blood Moon, which will forever and always be its bane, the Infect deck is very real, not a good matchup, and not easily addressed. Between that and Splinter Twin, you have two Tier 1 decks that are quite bad for you as well as a smattering of Tier 2 options like Living End and Hate Bears. On top of all that, a big part of the reason I selected the deck for the tournament was the extra value I was getting from playing a deck that my opponents were likely to have relatively little experience either with or against, and this turned out to be the case. Over and over, I benefited from this, and it is an advantage that will be progressively neutralized as time goes on. As far as the specific list, I'm very happy with it. 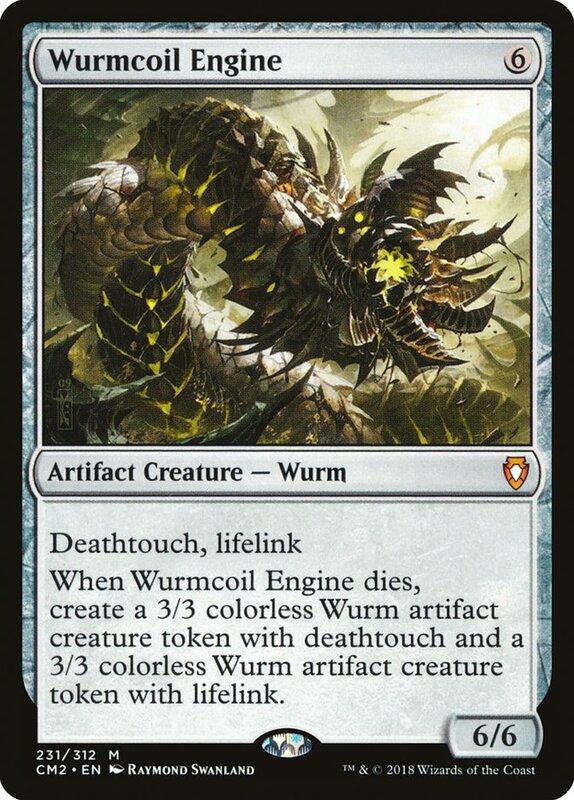 The Wurmcoil Engine should likely be another Thragtusk, and Chalice of the Void should make its way back into the sideboard to combat the Infect menace and give outs to Living End. 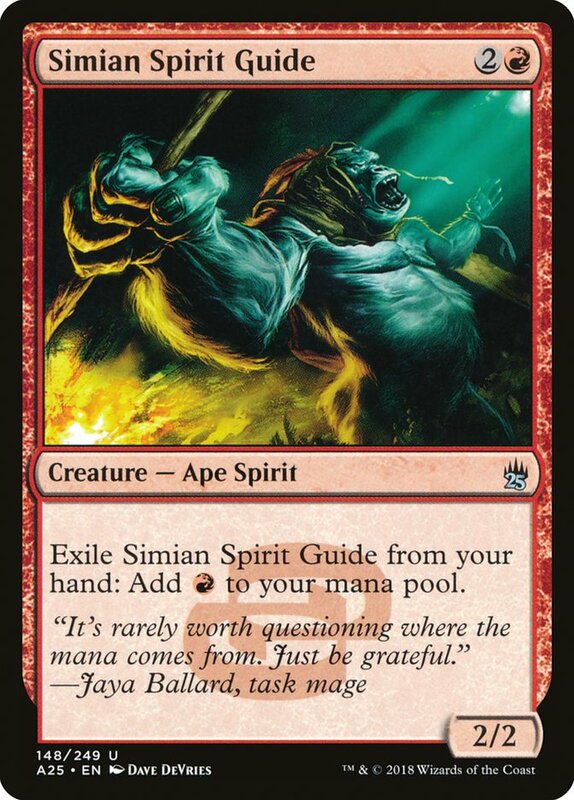 The Simian Spirit Guide I wasn't sure about going into the tournament, but I feel it earned its keep. 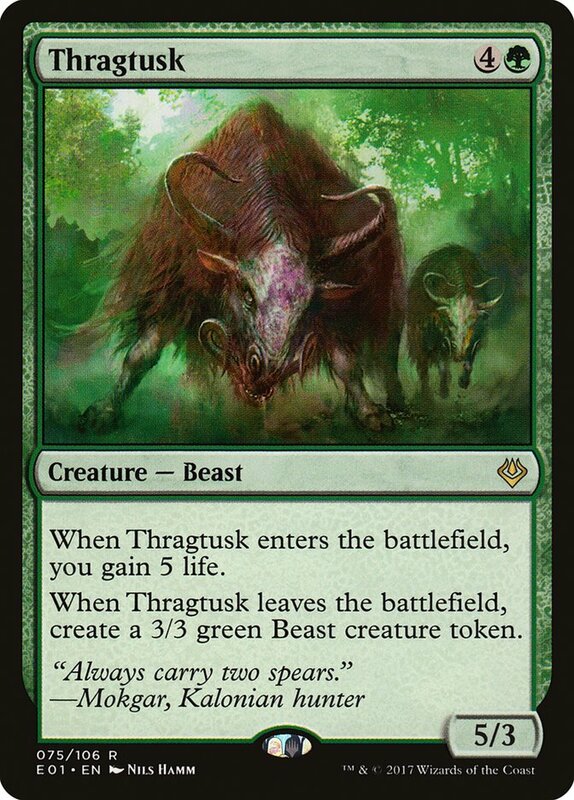 I think you can afford one, and it seems more likely to me that two is the correct number than zero, particularly with the Abzan matchup being in good shape overall. The Blood Moon answers largely failed me. It's possible that the highest EV play really is to let go of the last shields and just hope to dodge it as some have recommended. Finally, I want to hand out some thanks. 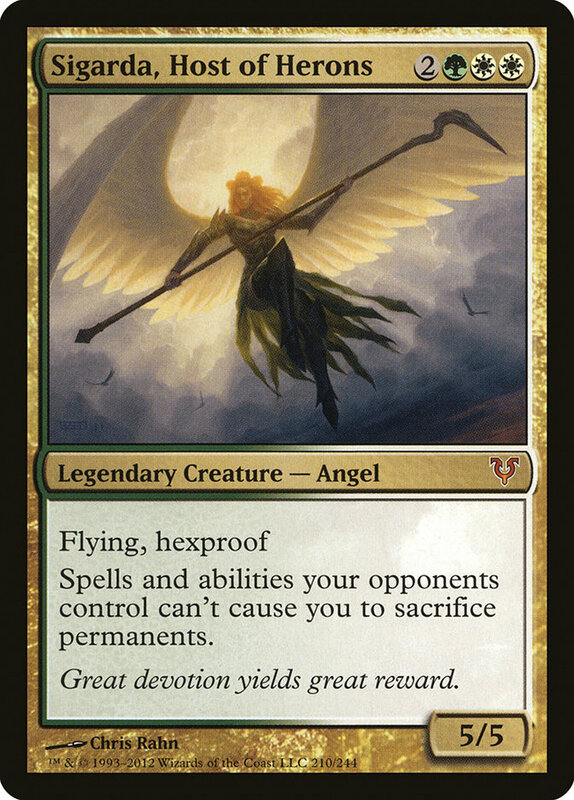 To Matthias Hunt for popularizing the deck that would serve me so well, to Team Work for their help in getting me prepared, to the local Madison players who drafted with me and shared their thoughts, to WotC for running a great event, to my opponents for the good games, to everyone who offered their support and encouragement as I attempted to hit way outside my range and, obviously, to Sam Black, who you can make a compelling case has more to do with this success than even I do. *On the play, I like boarding out another Serum Visions and boarding in the Firespout. I hope it goes without saying that this is a general guide and not be taken as definitive. Good luck attempting to do unreasonable things on unreasonable turns. A longtime fixture of the Madison competitive drafting scene, Justin Cohen, a newly-minted silver pro, broke out onto the big stage with a second place finish at Pro Tour Fate Reforged.